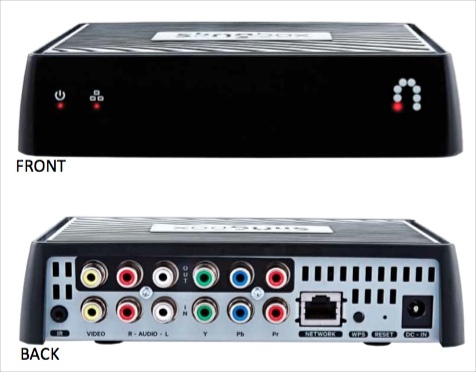 Sling Media has introduced 2 new boxes, the "M1" (which replaces the prior 350 model) and the "SlingTV" (which replaces the prior 500 model). In my opinion, the former, priced at $150, is the more intriguing of the two, as it represents a renewed push by Sling to establish a market for a dedicated TV Everywhere appliance (i.e. a device dedicated solely to extending a pay-TV subscriber's access to live and recorded content). I don't believe there's any other product in the market that is as narrowly focused on this opportunity as the M1 is. With the M1, Sling is basically echoing the pay-TV industry's strategy for giving subscribers remote, mobile device-based access to their programming. But with pay-TV operators and networks themselves rolling out TV Everywhere apps themselves (e.g. HBO GO, WatchESPN, etc. ), it's logical to ask why anyone would feel compelled to buy an M1. The answer lies in the fact that 5+ years since its introduction, TV Everywhere remains a balkanized, inconsistent concept, that's still miles away from delivering anything close to the utopian promise of all programming on all devices for all pay-TV subscribers, with a positive user experience. TV Everywhere has been challenged by gnarly rights issues between programmers and pay-TV operators, lack of consistent strategic commitment and app-building know-how and clunky authentication processes. As a result, adoption still languishes for what is arguably the industry's most important strategic initiative to blunt the appeal of cheap OTT alternatives like Netflix, Amazon and others that serve as cord-cutting/cord-nevering catalysts. Also new is the ability to watch on Apple TV and Roku, which means avoiding the open-ended wait for your pay-TV operator to develop an app for either of these popular connected TV devices. The obvious benefit of this feature is that it eliminates additional room set-top box rental charges (caveat is that you'll without the set-top box, you'd lose features like the guide and VOD access). The fact that Sling sees an opportunity for the M1 as a TV Everywhere appliance says volumes about how underwhelming the pay-TV industry's rollout of TV Everywhere has been. With little reason to believe things will dramatically improve any time soon, M1 would appear to have a nice runway. The hitch in all this is that the M1 is only valuable to the extent you're actually a pay-TV subscriber. With pressure from OTT alternatives, combined with the escalating monthly cost of pay-TV, the M1's upside is capped by the industry's larger challenges.